As I was wandering in search of a trail back to my car, I happened up on a small clearing. This cottontail was sitting there with a mouth full of grass about 10 feet from where I stood. I was in Colorado Springs, where the elevation is above 6,000 feet, and the Mountain Cottontail is supposed to replace the Desert Cottontail at that elevation. 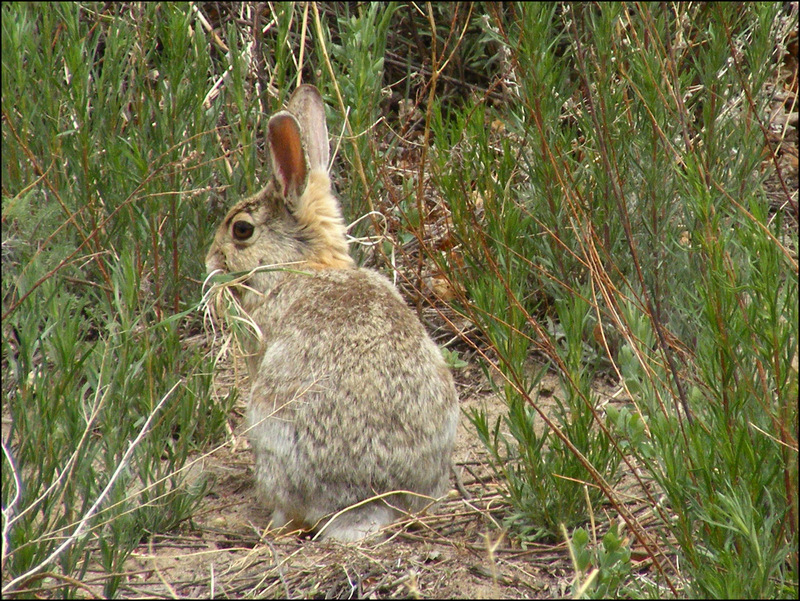 I’d already seen a Desert Cottontail.